Tongue River Canyon is a favorite of the Lazy R team! 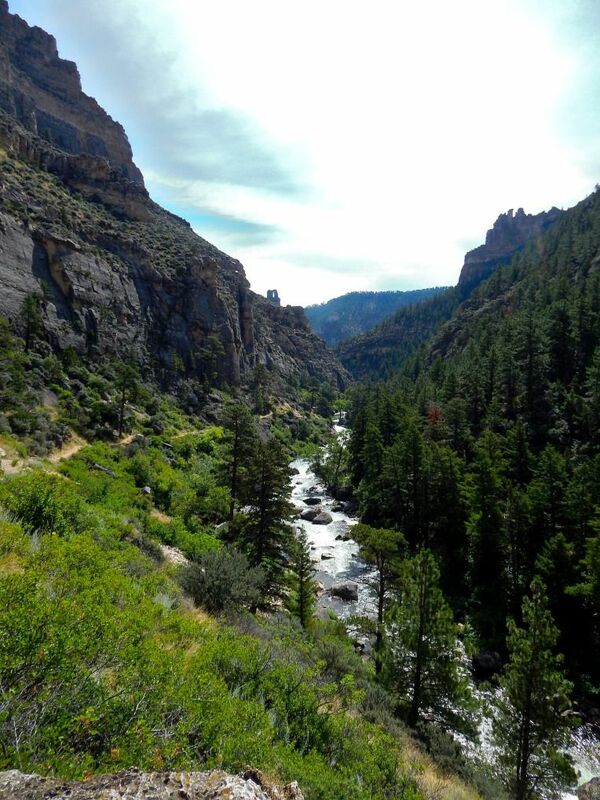 It’s only a fifteen-minute drive from Lazy R to this majestic canyon. From the picnic/parking area the trail winds its way alongside giant boulders, towering limestone cliffs, and the beautiful Tongue River. You can hike for ten minutes or a whole day to enjoy outstanding scenery. From the Lazy R take Hwy 14 headed west toward the town of Dayton for 5.5 miles. Look for County Road (CR) 92 on the right side of Hwy 14, just before crossing the bridge into Dayton. Follow CR 92 for approximately 5 miles where it ends at the Tongue River Canyon trailhead. Note: CR 92 is gravel & parking lot too small to accommodate RVs.